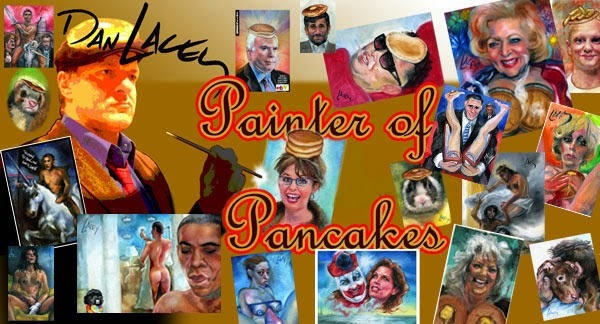 By request-a painting of Bill Nye The Science Guy with a climate changed pancake on top of his head. This is a variation on part of my Bill Nye With A Pancake On Top Of His Head Vs Creationist Ken Ham With Smiling Bacon And Eggs painting from two years ago. 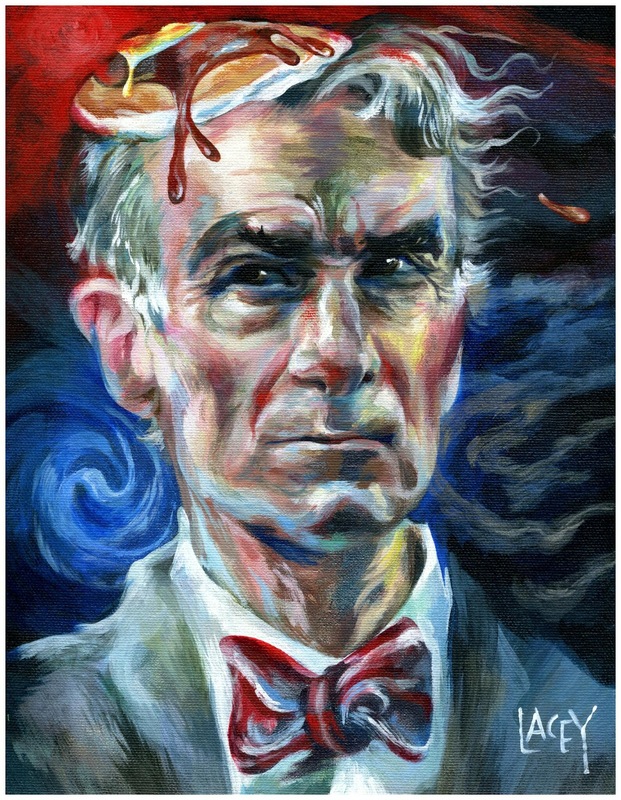 I printed just the Bill Nye section of the painting on a sheet of canvas, and then directly painted over the image with acrylic to create the new image.